Ornithogalum thyrsoides (Chincherinchee) from South Africa has surprised many visitors with its long lasting flowers, still completely unblemished in the last days of December. The bulbs were not received until late May 2002 and had already sprouted in the net. They were planted carefully and have given a good splash of colour from September right up to the New Year. Ornithogalum thrysoides is noted for its long lasting flowers and the mild autumn/early winter period this year has suited it well. It will be interesting to see if a similar winter display can be obtained by late planting in future years. 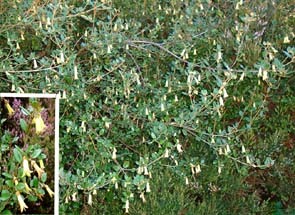 A young plant of Tecomaria capensis (Cape Honeysuckle), from southern Africa, photographed on an exposed hillside in late November. 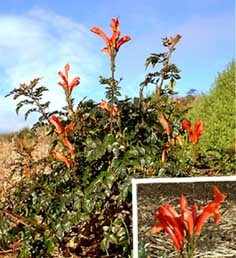 This is a popular flowering shrub in warm countries but is not often seen in Irish gardens. This plant has flowered well in October and November despite exceptionally high rainfall in both months. 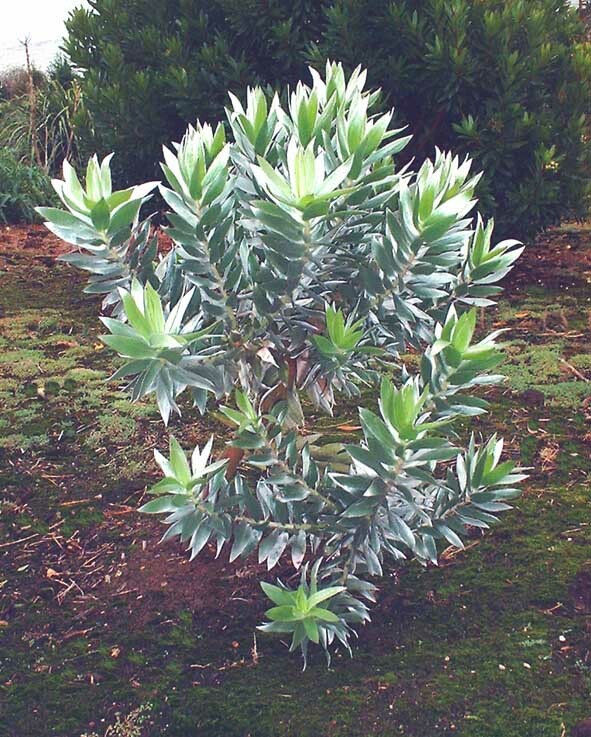 Leucadendron argenteum (Silver tree) from Table Mountain, South Africa is one of the most beautiful of all trees in foliage. The closely adpressed hairs give the impression that the leaves are covered with silver fur and the plant gives a welcome splash of light on dull autumn days. 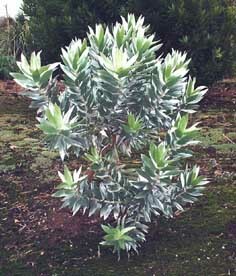 The Silver Tree is short lived as it is susceptible both to low temperatures and wet conditions. So far this specimen has survived the cold 2000/01 winter as a young seedling without protection and also the milder 2001/02 winter. It has also stood up well to the current exceptionally wet October. Postscript. Sadly, all of these plants died in the winter of 2009/10. Protea lacticolor is the hardiest Protea tested so far at Earlscliffe, surviving most winters in an undamaged condition. Planted in 1996, it is now a small tree over 2.5 metres tall and tolerated -7°C in December 2000. 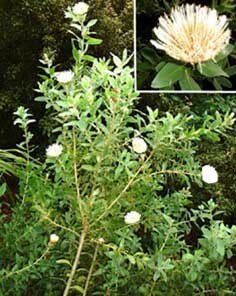 In addition to cream coloured flowers the plant has attractive, soft blue green foliage. It could be more widely planted in mild gardens in Ireland. Postscript. Sadly, this plant also died in the winter of 2009/10. 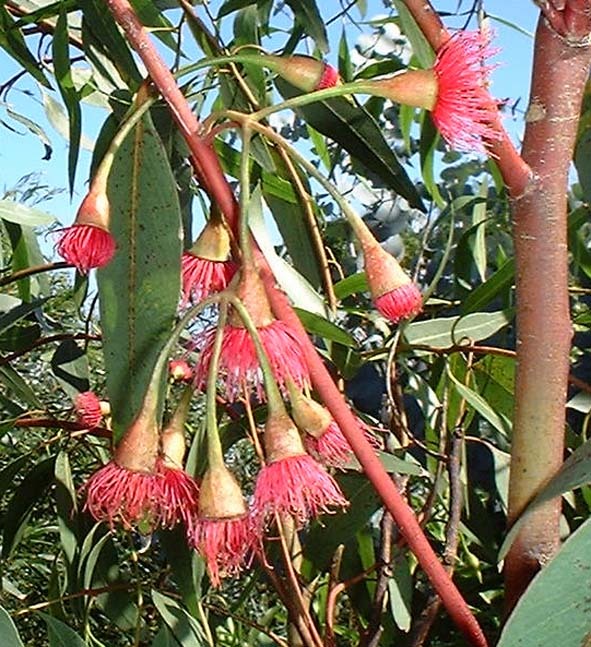 The Red Flowered Yellow Gum (Eucalyptus leucoxylon var. macrocarpa flowered for the first time at Earlscliffe in August, 2002. This plant was raised from seed sown in 1996 and has proved to be much hardier than the Red Flowering Gum Eucalyptus ficifolia, large numbers of which, sown at the same time as E. leucoxylon, perished in the cold 2000/01 winter. 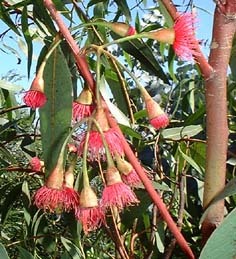 Despite various attempts to enrich the garden with red eucalyptus flowers, including planting out large numbers of E. ficifolia raised from seed collected at different locations in Australia in 1996 and crossing E.pulverulenta with E. caesia, the plant in the picture is the first eucalypt to produce red flowers at Earlscliffe since 1976. 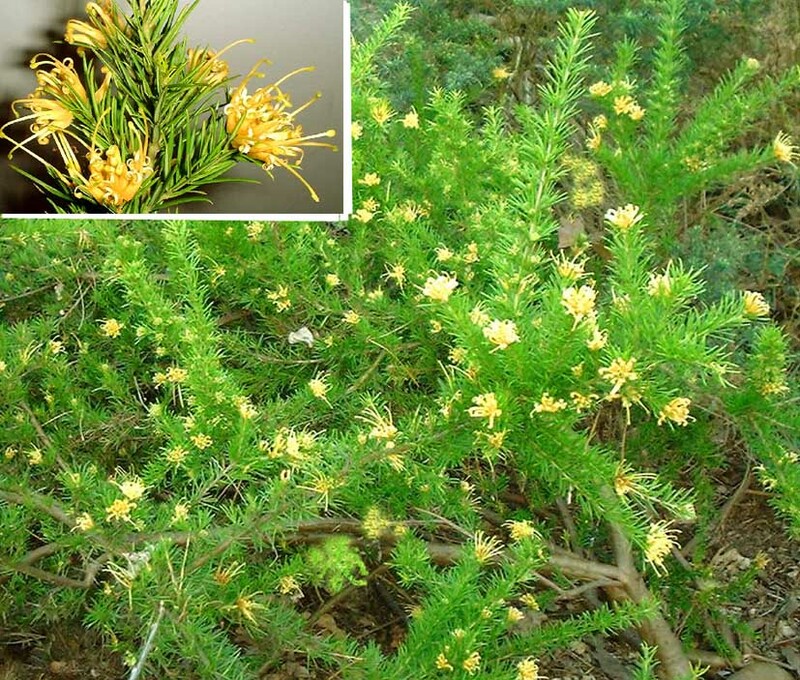 In the autumn of that year E. ficifolia flowered before being killed by low temperature during the winter. As E.leucoxylon survived -7º C in December 2000, this species may yet prove to be a useful ornamental for mild areas in Ireland. Postscript. It was thought that this tree died in the winter of 2009/10. However, it has started to grow again at the base of the tree. 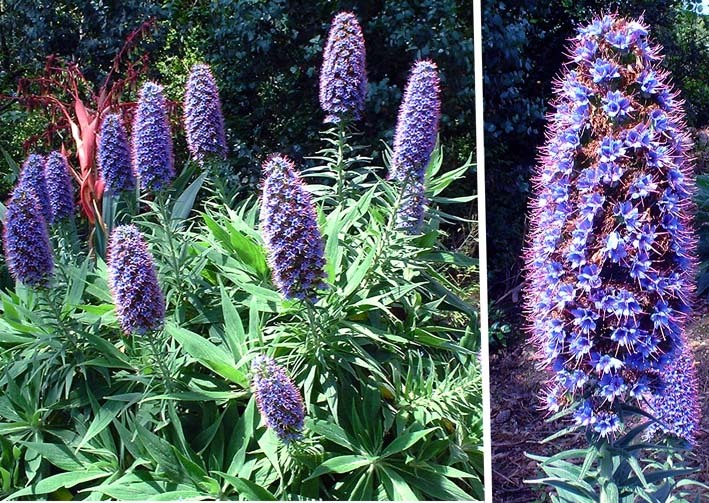 Echium candicans, the Pride of Madeira, makes a useful focal point in the garden in early July. This plant is the sole surivivor of a batch of seedlings I raised in spring 2000 and planted out later that year. The 2000/01 winter was the most severe for many years and so a question now arises about the hardiness of this particular plant. Is its survival a freak accident or is it hardier than the general population of E. candicans?. 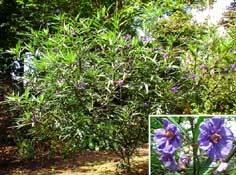 As this plant is a biennial, it will die this winter and so if it produces any seeds I will certainly collect them.Will the seed be viable?Will the progeny be pure E. candicans seedlings or a hybrid with E. pininana, which is flowering in the vicinity?If the seed is pure will the resulting seedlings be hardier than the general run of E. candicans as the parent plant has already survived - 7ºC, whereas the rest of the batch succumbed? Plenty of questions to be answered and plenty of opportunities to try to enrich Irish gardens with hardier plants. Postscript. It was thought that all of these plants had died in the winter of 2009/10. 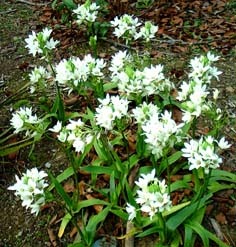 However, a patch of them survived and flowered in the summer of 2010. This tree paeonia is P. x lemoinei (P. lutea x P. suffruticosa) variety 'Souvenir de Maxime Cornu'. The plant is at least 50 years old but still blooms prolifically in early June. 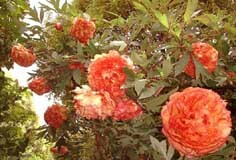 The large, golden yellow, reddish orange flowers are about 20 cm in diameter and are slightly fragrant. 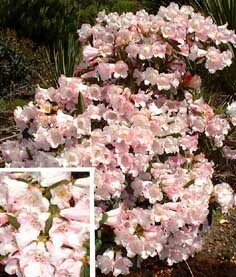 They provide a good contrast to those of rhododendron which tend to dominate the garden at this time of the year. 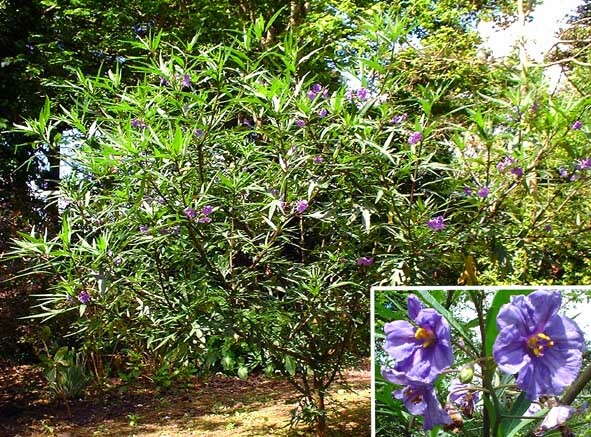 A thirteen month old plant of Solanum laciniatum - the Kangaroo Apple from Australia or the Poroporo from New Zealand. Although hardy in most years, all plants of S. laciniatum at Earlscliffe were killed by the cold 2000/01 winter. 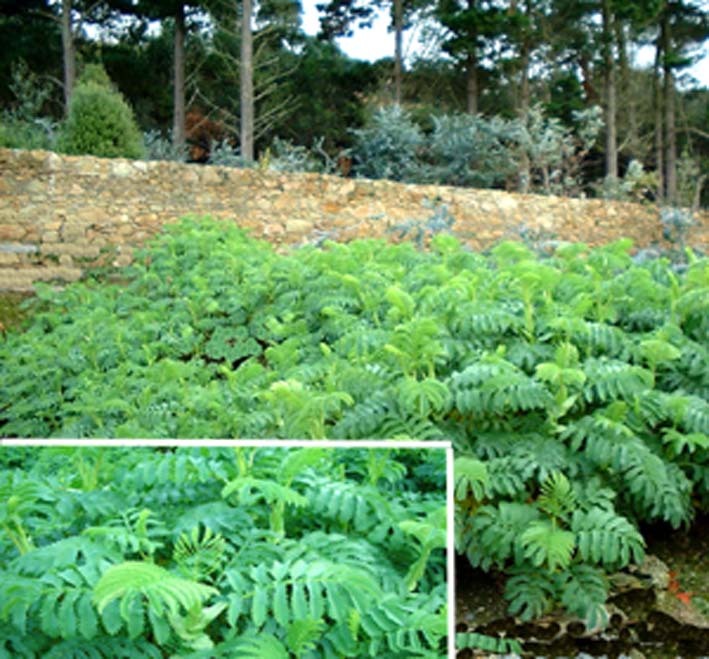 The plant in the photograph is a self sown seedling which germinated in April 2001 and reached a height of over 2 metres and a spread of over 3 metres by May 2002. The berries are a bright orange colour and the seed germinates readily so that S. laciniatum can be a weed in places. However it is very shallow rooting and can be easily eliminated. Rhododendron 'Countess of Haddington' a well scented hybrid that flowers reliably every year. Grevillea juniperina f. sulphurea is another Australian plant that is completely hardy at Earlscliffe, surviving the harsh 2000/01 winter completely unscathed. 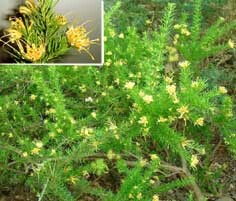 A native of New South Wales, it is not particularly showy but it attractive with its soft, downy, rosemary-like shoots and small, pale yellow flowers crowded in terminal clusters. 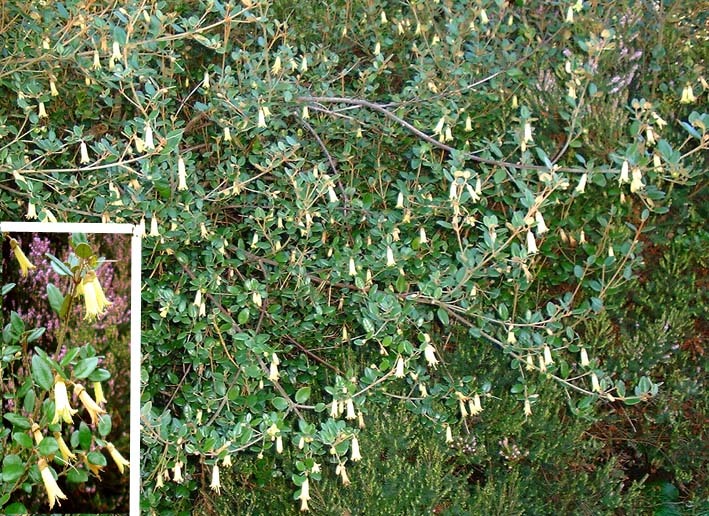 Correa backhousiana, a beautiful shrub from Tasmania, is about 3 metres high at Earlscliffe and usually displays at least a few flowers every month of the year. The petals are light yellow in colour and are united into a funnel shaped corolla about 3 cm long. C. backhousiana is perfectly hardy here and has never shown any low temperature or wind damage. 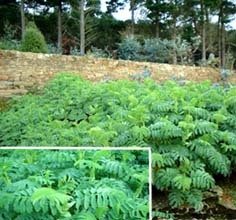 After an unusually mild winter, to the end of January 2002 at least, Melianthus major is looking particularly well, with no sign of wind or frost damage even at the end of the month. 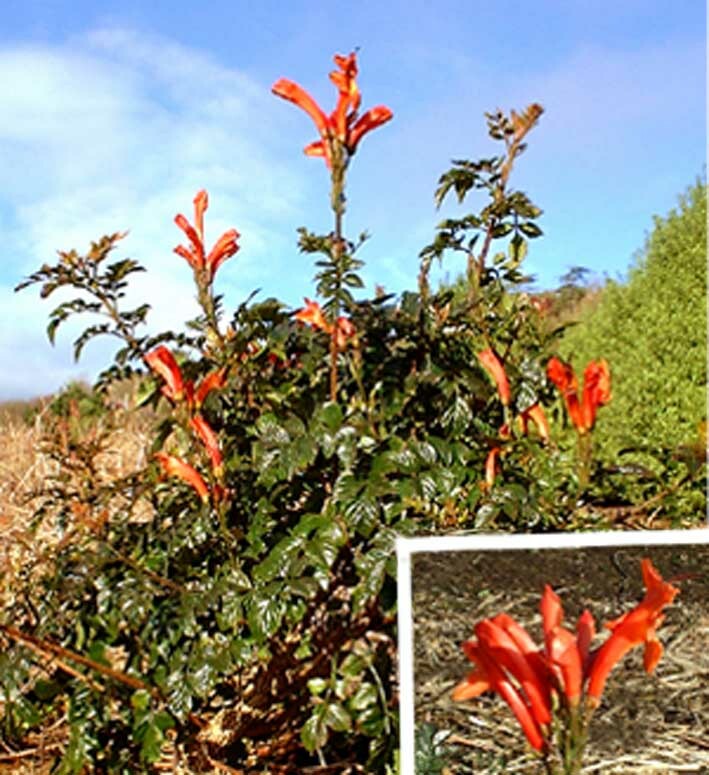 A large bank of this South African sub-shrub creates a subtropical atmosphere with its long pinnate, evergreen, slightly glaucous leaves. This plant is well adapted to the microclimate at Earlscliffe although self sown seedlings of this aggressive plant can occasionally be a nuisance among slow growing trees and shrubs.